This is an Antique Farcot hanging porcelain wall clock in great condition. 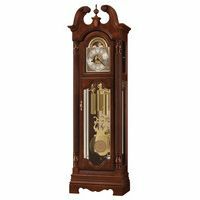 The clock hangs from a beautiful, and its original (based on having seen similar Farcot clocks over the years), linked brass or bronze chain. The clock runs well for eight days. The clock's movement has a verge escapement. Note the bronze or brass adornments both on the top of and aroundn the clock and the chain. 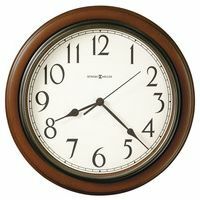 The face of the clock is 4 1/4 across. Included below is a picture of the Farcot trademark. E. Farcot is a highly distinguished clock maker. Farcot is the most well known of all 19th century makers who used and patented conical pendulums, which were not simply novelties, but were some of the most accurate clocks of their time. 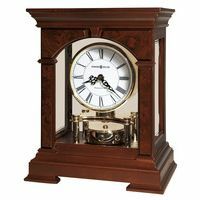 Farcot clocks have always been and are to this day highly sought after by collectors. The Fracot trademark is a shield bearing an anchor with a 5 point star surmounting the shield. Also included below is something fairly rare to find in a clock that is over 100 years old -- which is printed written instructions, both in English and French, on how to use the clock. A pic of these instructions can be seen below. The clock is cobalt blue with hand-painted flowers. The porcelain dial is perfect, as is the beveled glass door. Including its chain, it measures 25 inches tall and 10 inches wide.